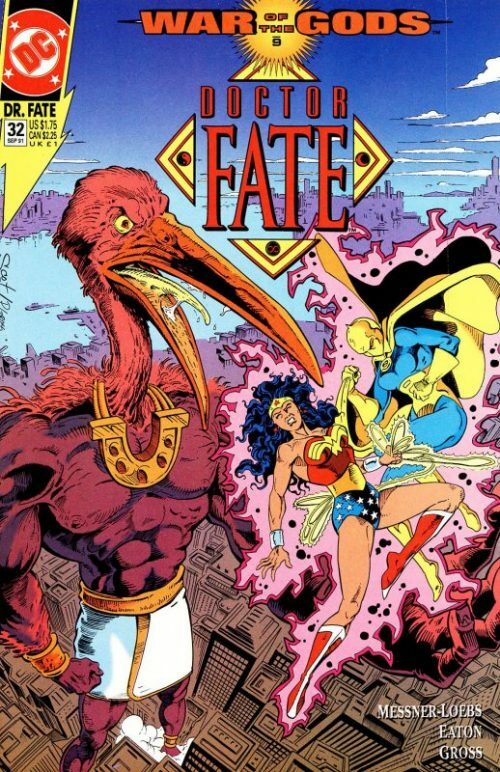 This issue follows on from events in War of the Gods #1 and Dr Fate #32 as we skip from location to location to cover the many threads of the story line which are beginning to converge at last. 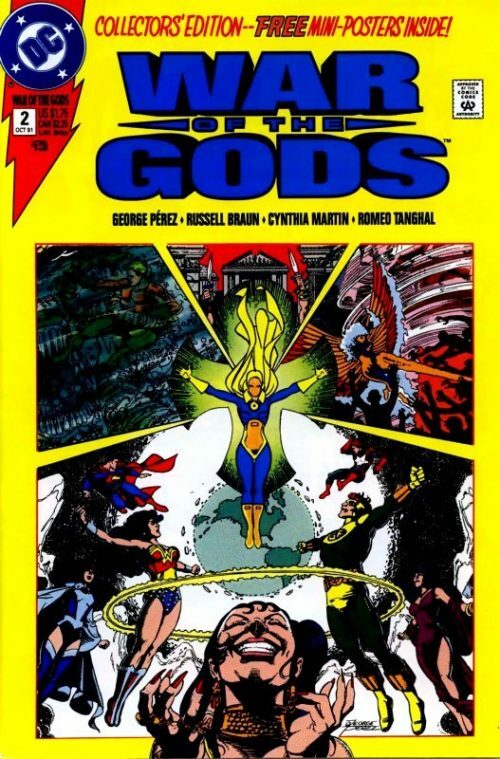 George Perez was criticised by some for writing a crossover that was simply too dense and too layered, becoming increasingly confusing to follow. 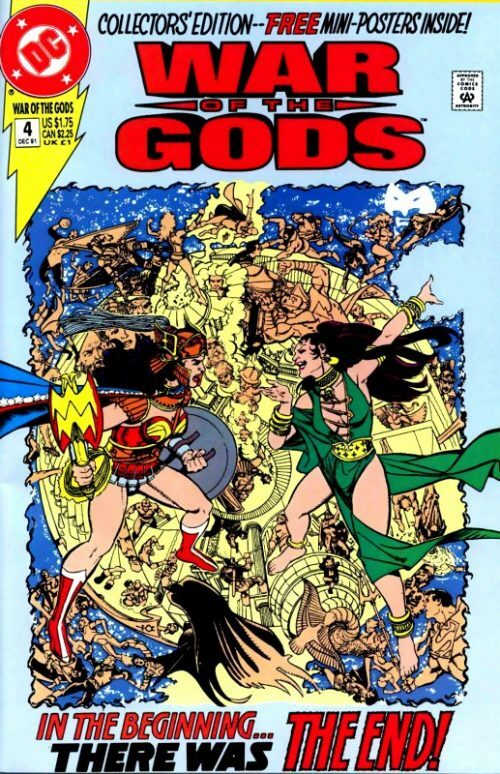 The issues of “War of the Gods” itself are very “busy” and certainly require the readers’s full attention. Otherwise, they might miss a key fact that will prove extremely relevant in a future issue! 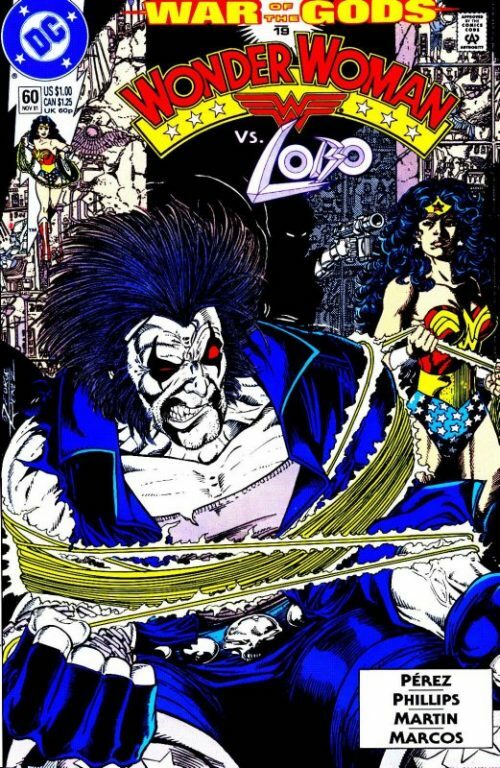 However, the job of comics is not just to entertain but also to challenge the reader on occasion. 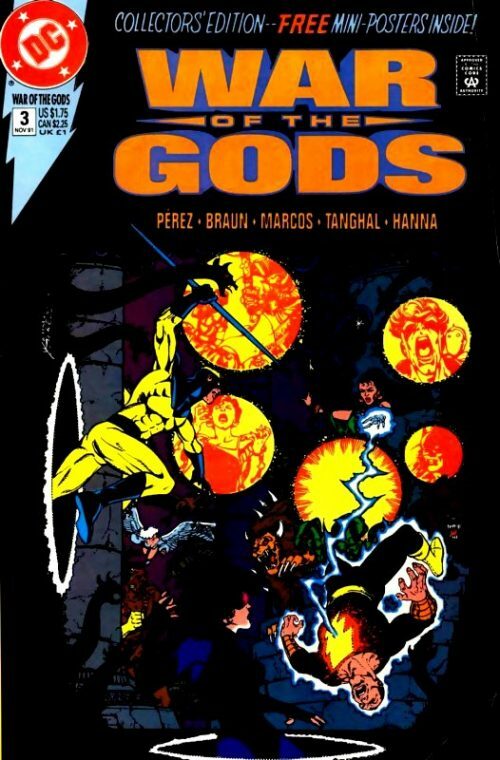 Personally, compared to some of the DC Crossover events that have taken place over the years, I found “War of the Gods” to be a satisfying, if at times overly complex, read. 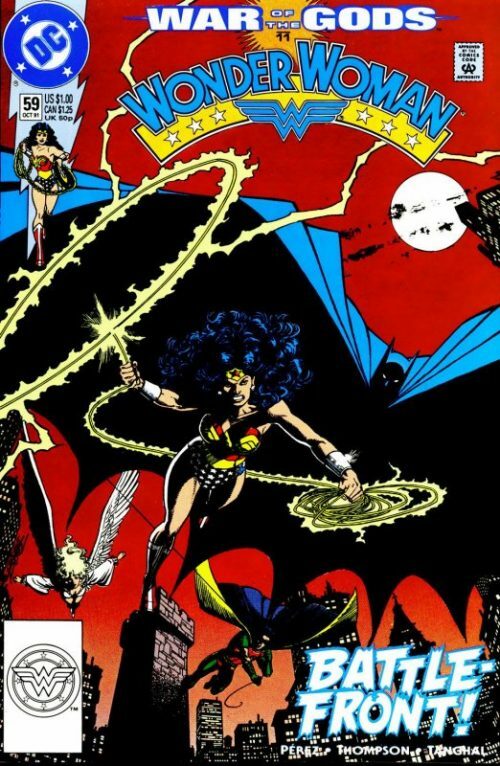 Plus, we got to see Diana depicted in some other DC Titles during this time and depicted by other artists. As far as I’m concerned, you can never have too much Wonder Woman (!) 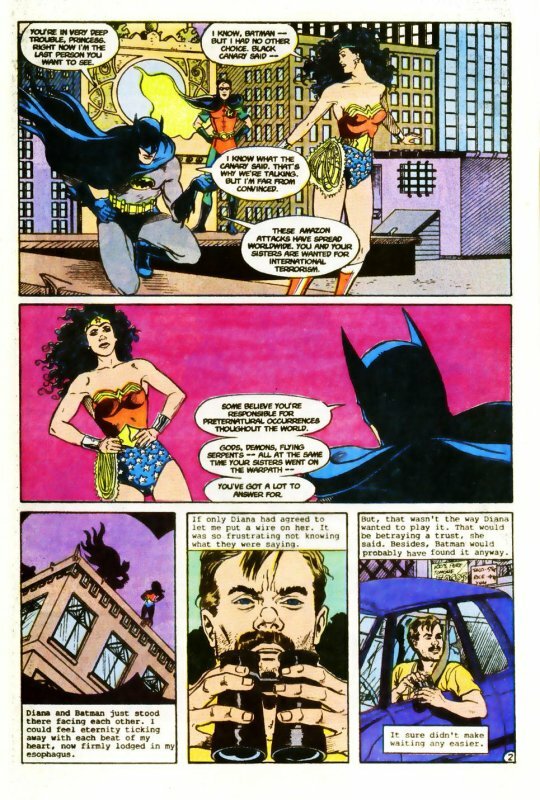 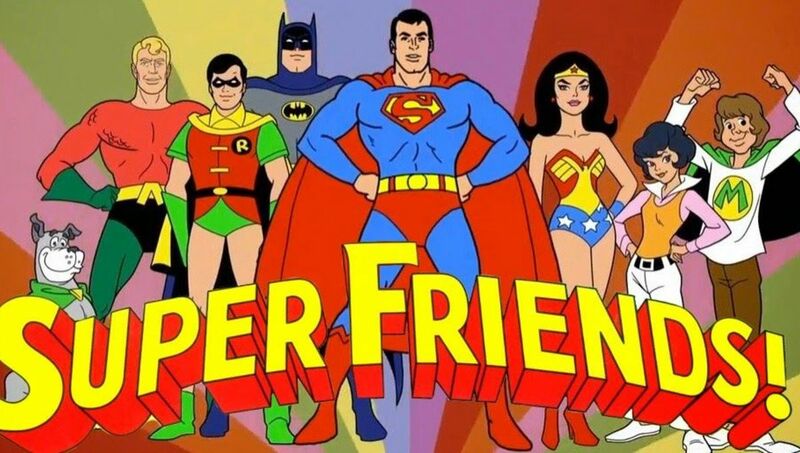 and it was satisfying to see her play such a pivotal role, instead of the all too common Superman or Batman focused crossover events we tend to see.